What does $900 rent you in Philadelphia, today? We've rounded up the latest rental listings via rental site Zumper to get a sense of what to expect when it comes to locating a rental in Philadelphia with a budget of $900/month. Listed at $900/month, this one-bedroom, one-bathroom apartment is located at 2370 Orthodox St., #D.
In the unit, expect stainless steel appliances, a dishwasher and hardwood floors. The building has on-site laundry. Animals are not welcome. There's no leasing fee required for this rental. Per Walk Score ratings, the surrounding area is very walkable, is quite bikeable and offers many nearby public transportation options. Next, there's this one-bedroom, one-bathroom condo over at 320 Rochelle Ave., #2. It's also listed for $900/month for its 500 square feet of space. The building features on-site laundry. 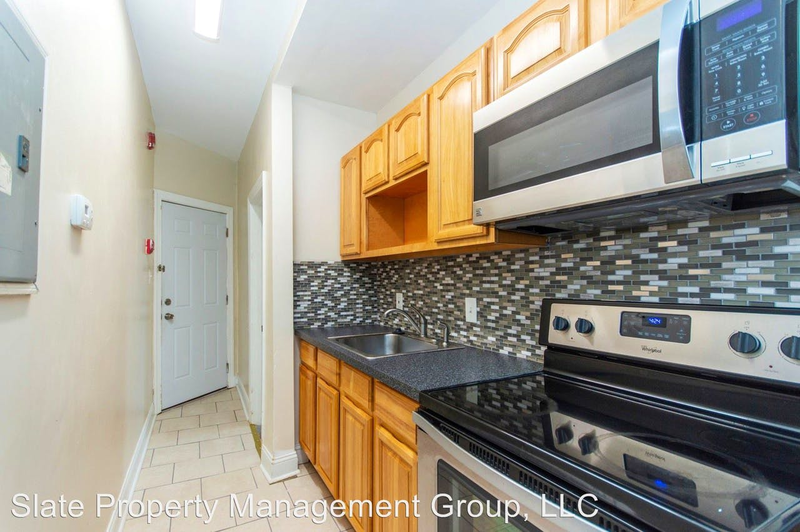 Apartment amenities include hardwood floors, an eat-in kitchen and generous closet space. Neither cats nor dogs are welcome. The rental doesn't require a leasing fee. Walk Score indicates that the area around this address is somewhat walkable, has some bike infrastructure and has good transit options. Located at 3441 Indian Queen Lane, here's a 550-square-foot one-bedroom, one-bathroom apartment that's listed for $900/month. In the unit, you can anticipate in-unit laundry, hardwood floors and a ceiling fan. Luckily for pet owners, both dogs and cats are permitted. Future tenants needn't worry about a leasing fee. According to Walk Score's assessment, the surrounding area is friendly for those on foot, is relatively bikeable and offers many nearby public transportation options. Listed at $900/month, this one-bedroom, one-bathroom is located at 1626 Lindley Ave. The apartment boasts hardwood floors, ceiling fans, stainless steel appliances and bay windows. Animals are not allowed. Building amenities include on-site management. There's no leasing fee required for this rental. Per Walk Score ratings, the surrounding area is quite walkable, is fairly bikeable and boasts excellent transit options. Located at 1649 S. 15th St., #3rdFL, here's a 2,210-square-foot zero-bedroom, one-bathroom apartment that's listed for $900/month. In the unit, anticipate granite countertops, stainless steel appliances and carpeting. The building boasts outdoor space. Animals are not allowed. Future tenants needn't worry about a leasing fee. Per Walk Score ratings, this location is extremely walkable, is quite bikeable and is a haven for transit riders.